For Memorial Day we grilled this Citrus Glazed Chicken. It was Sweet and Sticky. I baked the chicken legs in the oven first for an hour. While the chicken was baking I made my Citrus Glaze, After an hour I transferred the chicken legs to the grill and began basting the legs with the sauce. I continued to baste and grill them for about a half hour. Salt and pepper the legs and place in a baking dish. Bake at 400 degrees for 1 hour. 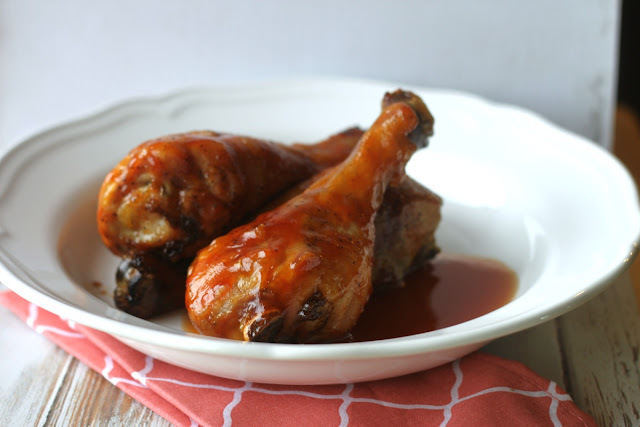 While chicken is baking make the glaze by adding orange juice, ketchup, brown sugar, Worcestershire sauce and liquid smoke to a sauce pan and bring to a boil. Turn down heat to simmer and add the pepper flakes and fresh thyme. Continue to cook for about 20 minutes or until the glaze slightly thickens and is sticky. 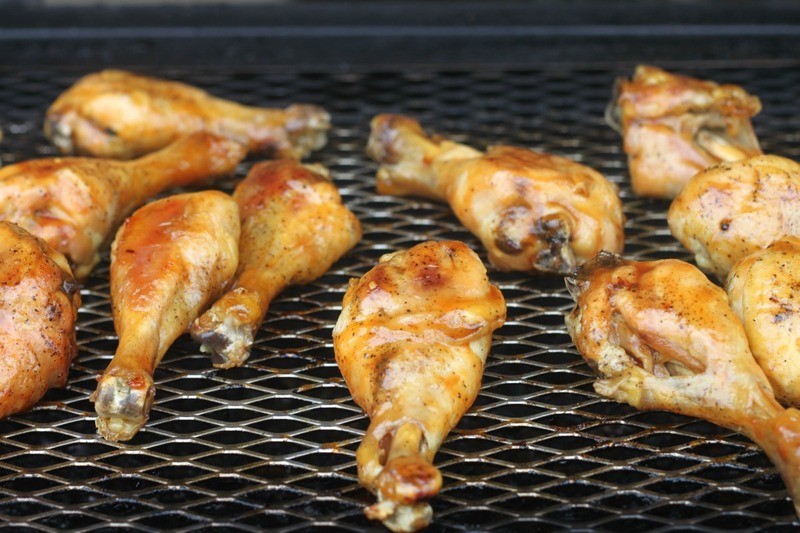 Take the chicken out of the oven and place it on the grill. 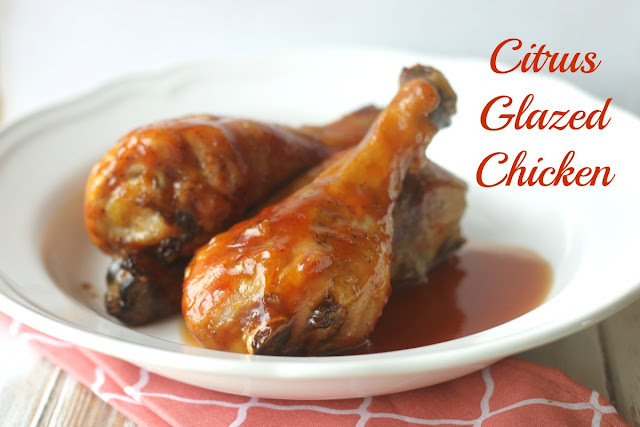 Baste the chicken with the Citrus Glaze and continue to turn and glaze chicken for 20 to 30 minutes until the chicken is a nice orange color and sticky.